The thing about great chocolate is that I enjoy it so much more, and I'm satisfied with so much less. An apparent contradiction, but not necessarily so when it comes to well-crafted chocolates. I stopped after eating "only" 1/3 of today's bar, and enjoyed lingering notes of chocolate, chilies and cinnamon. Alan "Patric" McClure, of Patric Chocolate (Columbia, MO), and his crew, know their way around well-crafted chocolate -- largely because they've been meticulous about quality, with each step in the chocolate-making process -- from sourcing the right cacao beans to finishing with fine flavor additions. 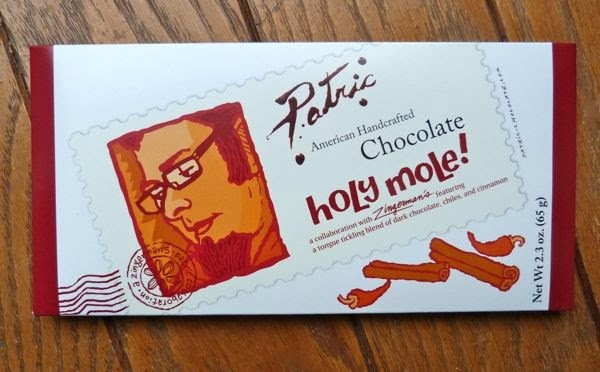 Today's Patric Chocolate's Holy Mole! 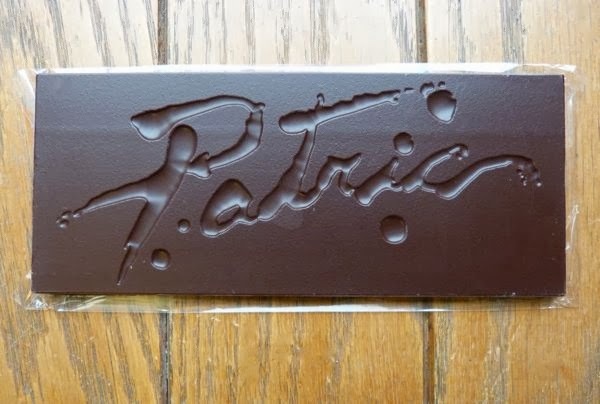 smooth, dark chocolate bar contained a flavorful blend of fairly traded cacao from Papua New Guinea and Ghana; Spanish smoked pimenton from La Vera, chilies de arbol; cinnamon; and a hint of vanilla salt. This perfectly balanced melange of flavors played off each other beautifully. The Holy Mole! bar was a collaboration with Zingerman's (a well-known deli and group of family-owned, food-related businesses in Ann Arbor, MI).